Splat Hair Dye There are 18 products. Whether you're trying to remove a color you're tired of or you're trying to erase a dye mishap, you can be sure to strip it out with the Oops Extra Strength Color Remover! Looking for a quick and effective way to add a splash of color to your style? If so, then why not check out the Splat Hair Chalk in Dusty Rose! Looking to add a citrusy twist to your style? Then why not check out the Splat Hair Chalk in Lemon Lime! Seeking a tone that's sure to liven up your style? If so, then why not try out the Splat Hair Chalk in Mint Candy! If you love all things Pink, then we know you're going to love the Splat Hair Chalk in Pink Hearts! Create that fantasy inspired style with the help of the Splat Hair Chalk in Purple Pixies! Looking to switch your style up with a sweet kick? If so, then it's time you tried the Splat Hair Halk in Sugar Plum! Seeking that natural ombre effect? If so, then it's time you tried out the Splat Hair Chalk in Sun Kissed! Take your look to a whole other level with the Splat Hair Chalk in Violet Sky! Looking to liven up your look? Then why not add a splash of color with the Splat Long Lasting Semi-Permanent Hair Dye Kit in Berry Blast! If you're looking for a shade that's got that extra edge, then it's time you checked out the Splat Long Lasting Semi-Permanent Hair Dye Kit in Emerald Green! If you’re tired of your current hair color then we really can’t recommend Splat hair dye enough! Their high quality long-lasting hair products are some of the best available, making them the perfect choice for first time dyers. 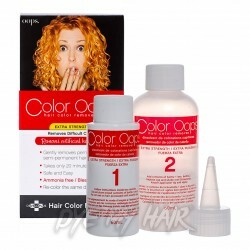 If you want a hair color that won’t fade quickly, Splat is a perfect choice. Many of their hair dyes have the potential to last for up to six weeks leading many people to ask is splat hair dye permanent? Whether you’re after a bold blue or a radiant red, you can rely on Splat! As their names suggest, these colors are just bursting with personality – able to offer you every look from cool to crazy. Some Dusty Rose will give your look a subdued sense of style, while Deep Emerald is the perfect choice if you’re after something a bit more daring. Meanwhile, Blue Envy just oozes with style and, as its name suggests, it’s certain to make all of your friends super envious! Sugar Plum is a sweet and delicate choice for those who want to show the world how charming they are! Looking good isn’t difficult with Splat! Dip dying. If you’re not ready to take the plunge with a full head of bright Splat hair dye red, why not just color your tips instead? It’s also a great choice if you aren’t quite ready to say goodbye to your natural hair color; a perfect blend of old and new! Ombre. If dip dying isn’t your thing, then maybe you’ll like Splat hair dye ombre! Like dip dying, it allows you to mix a new color with your current one, but instead through a gradual gradient effect. It definitely offers a unique look! Mixing. Splat also supports color mixing – so if we don’t stock quite the right shade for you, you can mix two together! As long as you remember your primary colors from school, you should be able to mix up just about any color you like. Cool, right? Standard. Of course, you can also go for full coverage! If you’re just totally crazy about one of our Splat colors, there’s no reason not to just to dye all of your hair! This is the easiest style to achieve, as long as you follow Splat hair dye instructions. Long Lasting Hair Dye. There are many reasons why we love Splat’s hair dye, mainly because it’s long lasting and effective. What more can we say? If you want a new hair color whether it be Splat hair dye pink, blue, green, silver or something else entirely you can rely on Splat! Hair Chalk. If you don’t want to commit to a new hair color quite so fully as using hair dye, then this chalk is a great option. Hair chalk allows you to get a great and vibrant hair color quickly and with no commitment! As soon as you wash your hair it’ll all come out! With gorgeous colors such Splat hair dye midnight and Purple Pixies, it’s easy to see why we’re so in love with Splat’s hair chalks. 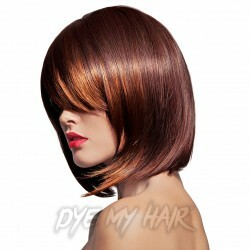 Don’t take our word for it; the Splat midnight hair color reviews are sure to help you feel confident in your purchase. Extra Strength Color Remover. This product is a fantastic safety net in case you do decide you aren’t quite as in love with your new hair color as you thought you’d be or you are ready for a change. So there you have it! There’s more to Splat than initially meets the eye. Whether you want pink, silver, or Splat hair dye purple (among many others) on a semi-permanent or temporary basis, you should definitely give Splat a go. You won’t believe the vivid and bright colors that their products can lend to your hair! Better still; the Splat hair dye price will give you great value for money. If we’ve got you sufficiently excited about Splat hair dye, then remember that Dye My Hair is the number one place to stock up on their products. So what are you waiting for? Grab yourself the hair color you’ve always wanted!